The Congress MP and former minister spoke to ThePrint about the books and authors who have had an impact on her life. Former minister and Rajya Sabha MP, Renuka Chowdhury said her life was influenced at different phases by different books. The Congress lawmaker, who recently made headlines after being mocked by Prime Minister Narendra Modi in Parliament for her laughter, listed the three books that shaped who she is. As a young girl, Chowdhury said she read a series of books by Indian historian and professor R.C. Majumdar. 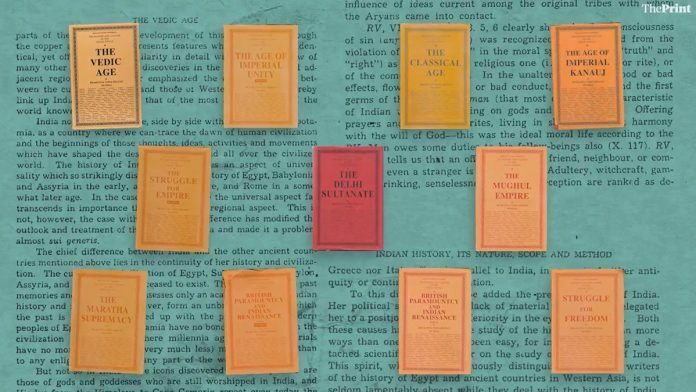 The 11 books written by him span almost two millennia, from the Vedic age to the freedom struggle. In an interview at her official residence in Lutyens’ Delhi, Chowdhury admitted that she struggled to finish these books that Majumdar had written over 26 years. “I started reading as a rather young girl, but couldn’t complete it and went back to it several times,” she said. “It sort of helped define myself and my country around me,” she said. Another book that she said influenced her deeply, was American psychologist Erik E. Erikson’s ‘Gandhi’s Truth: On the Origins of Militant Nonviolence’. In the book, Erikson explores Gandhi’s unique brand of dissent and how India became the stage for large-scale civil disobedience. “It sounds like a dichotomy. How can you be militant and non-violent? But it is, and it (the book) analyses it beautifully,” she said. The third book, Chowdhury said influenced her, was one by American novelist Pat Conroy who she said “used his words like a paintbrush and brought things to life”. The MP said her favourite book by Conroy is ‘The Prince of Tides’, which revolves around the traumatic events that affected footballer Tom Wingo’s relationship with his family. Chowdhury said these books were only the tip of the iceberg, and that books adorned the walls of her house like drapes. “I love reading, and thank god, all of us read at home. Each one has a different taste,” she said. Chowdhury also emphasised her love for regional literature in India, and the problems it faces. “Regional writing suffers in translation. I do believe that to be able to translate not just the language but the sensibility from where that evolves is something so brilliant and so tough,” she said.